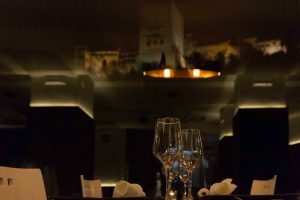 If you are looking for a distinguished restaurant to dine in Granada and enjoy the best flamenco show, Ruta del Azafrán restaurant offers you the perfect plan. 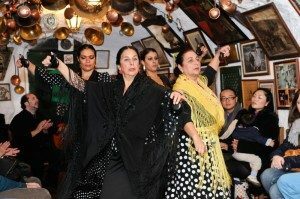 The offer includes a dinner at the Ruta del Azafrán restaurant and a ticket with a drink to the flamenco show of Maria la Canastera. If you are a group of 10 people or more, dinner will be our group menu No. 3, special for groups. If you are less than 10 people or a couple, the dinner of the offer will be our exquisite menu flavors. There is the option to include all the drink in the flavors menu for € 7 / additional pax. Total dinner + show offer would be € 57 / pax. The included beverage is red, white or rosé house wine, soft drinks, water and beer. We propose the perfect combination in Granada: The best dinner with views of the Alhambra together with an unprecedented flamenco show for € 50 / pers. Make your reservation at 958 22 68 82. Or Reserve in the following link.